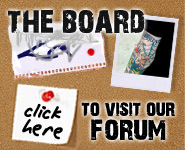 UK Tattoo Studios - Sign Up, Get Your Tattoo/Piercing Studio Listed! FREE trial for new tattoo studios for months. We are offering a free trial to new tattoo studios for 3 months. so if you sign up now you will get over 3 months free advertising. To add your studio to our directory simply complete the signup form below, it should take less than 5 minutes. We will send you your username and password to access the Secure Studio Area where you will have full control over your listing, be able to upload a picture of your studio, and upload examples of work you have completed. By signing up you agree to recieve marketting emails from us, to stop these emails just reply to the email with the word stop. Firstly, please give us your studios contact details - the details entered below are displayed on our website. The email and password you enter below will be used when you log into the Secure Studio Area.